In this work, we use the finite element method to investigate the free volume evolution, as well as the martensite transformation effect and its connection with the pretreatment strain, in a shape memory alloy-metallic glass composite. Our simulation results show that the martensite phase transformation can enhance the blocking effect while relieving the free volume localization. The synergistic effect among the martensite transformation effect, blocking effect, and shear band interaction in the composite is responsible for the tensile plasticity and work-hardening capability. In addition, we design a Sierpinski carpet-like fractal microstructure so that the composite exhibits improved tensile performance as a result of the enhanced synergistic effect. 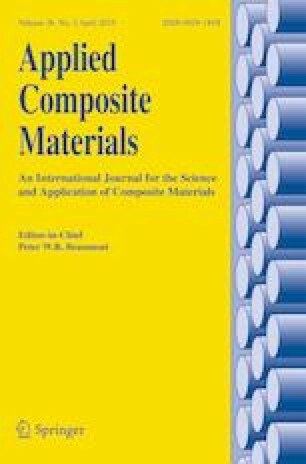 However, the tensile performance of the composite deteriorates with increasing pretreatment strain since the martensite transformation effect is weakened. The authors acknowledge the support of the National Natural Science Foundation of China (51320105014) and 111 project (B06025). X. Z acknowledges the computational resources provided by the HPC platform of Xi’an Jiaotong University.